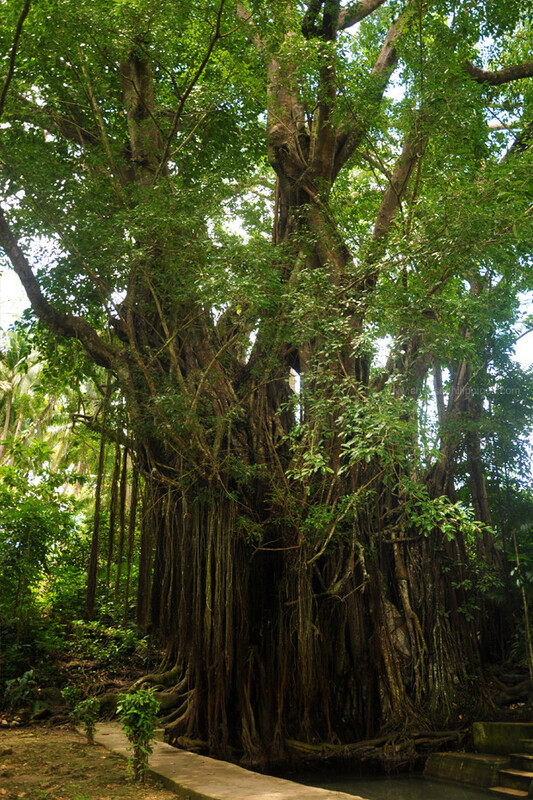 Siquijor’s Mysterious Balete Tree - Choose Philippines. Find. Discover. Share. These trees are also where sorcery rituals are being performed. 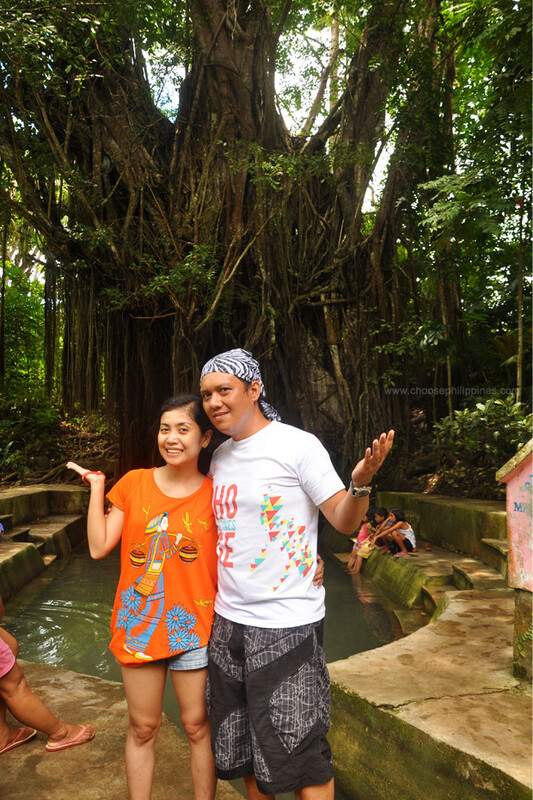 In Siquijor, we found a 400-plus year-old balete tree which is believed by the locals to be enchanted to this day. 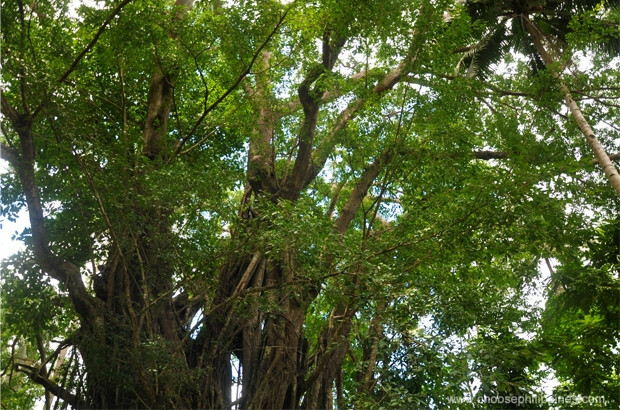 The balete tree belongs to the family of fig trees (from the genus Ficus). There are several species, about 10 of 800 are found in the Philippines. 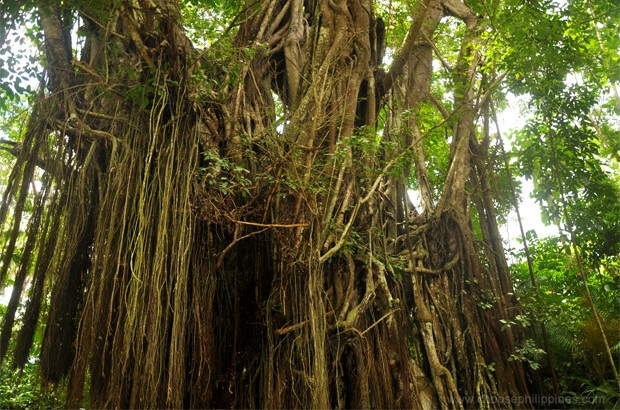 The balete tree is also known as the banyan in other parts of the world. 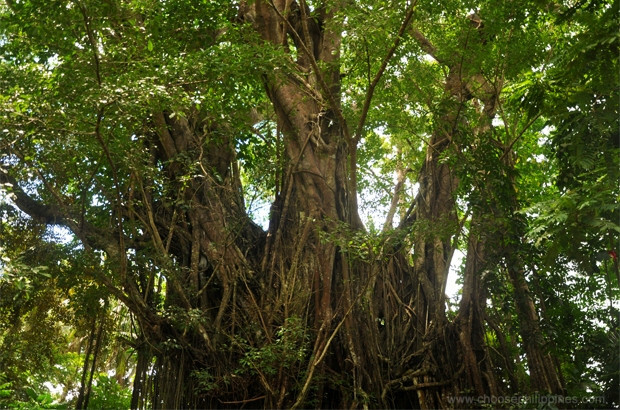 It's a type of ficus, or what's also called a strangler fig tree, since the tree grows around a host tree and strangles it. The leaves are about 6-9 centimeters long and are smooth, pointed, and shiny. 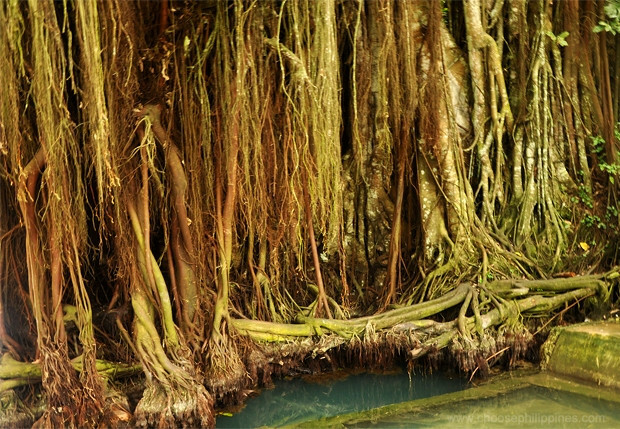 The tree stands at 8 meters up to 20 meters high with adventitious roots from its branches and trunk. Skin eruptions and dermatitis – boil one cup of chopped bark in ½ gallon of water for 10 minutes; use decoction to wash involved areas, twice daily. Decoction of aerial rootlets used for wounds, cuts and sores. Bark is astringent and used as styptics for wounds. Decoction of latex for parasitic worms. 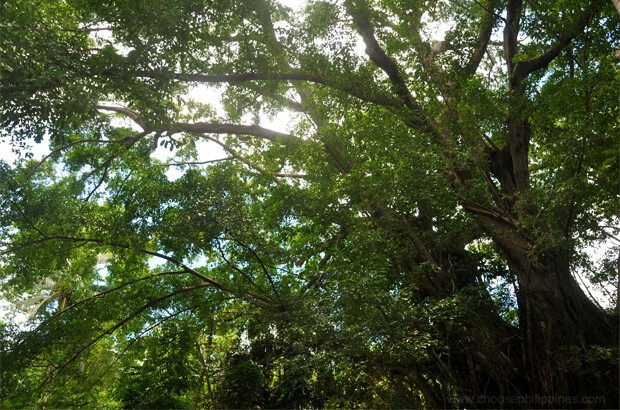 One of the more popular balete trees in the Philippines can be found in Brgy. 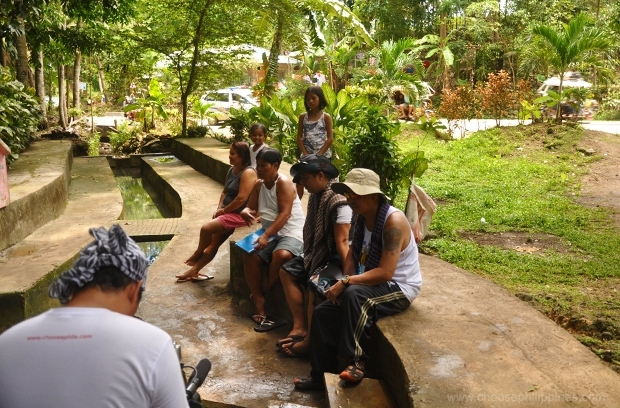 Campalanas, Lazi, Siquijor. 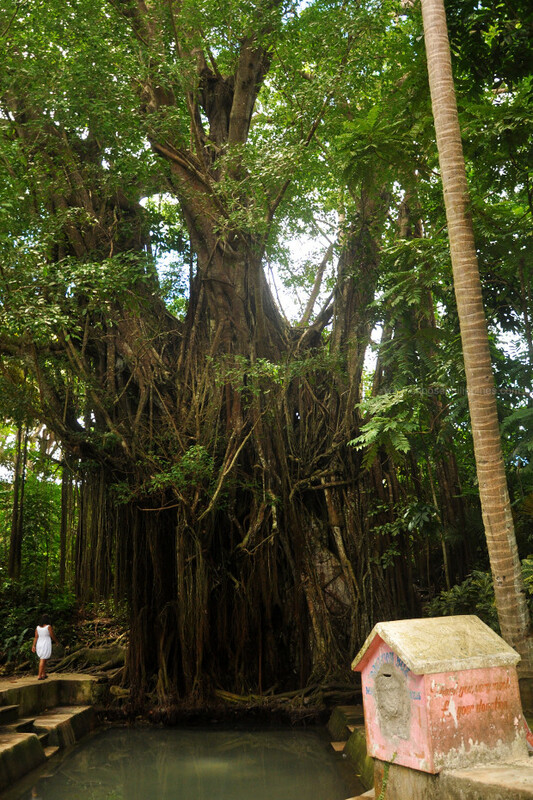 The 400-plus year-old balete tree is believed to be the oldest and the biggest in the said island-province. 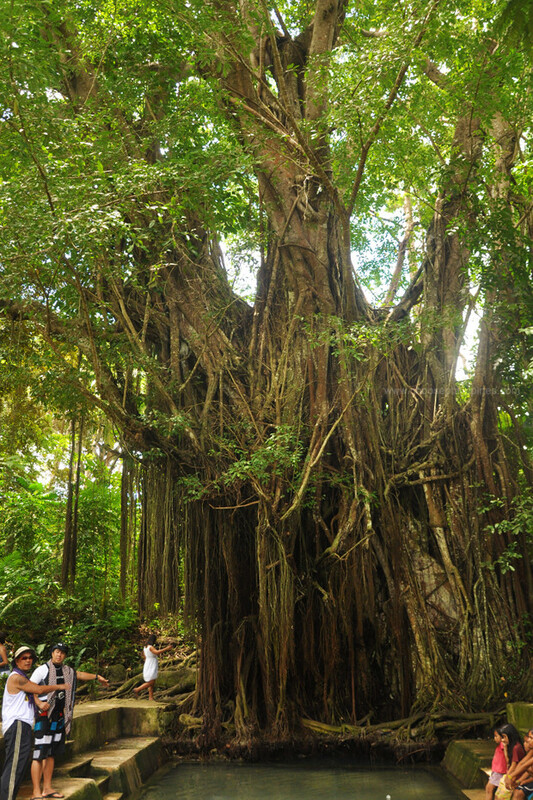 Local and foreign tourists are always drawn by the tree's massive root system. It's a popular spot to take souvenir photos. 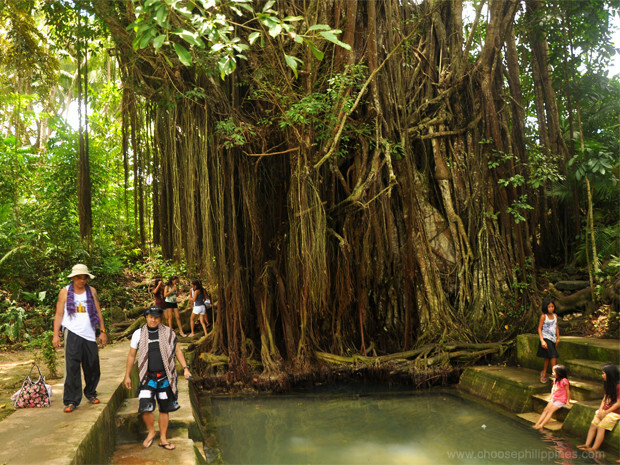 Aside from the many eerie stories that have been associated with such trees, what's strange about Siquijor's balete is that a spring originates from its base, flowing straight into the manmade pool. Visitors with the luxury of time swim in this cold spring just in front of the tree. 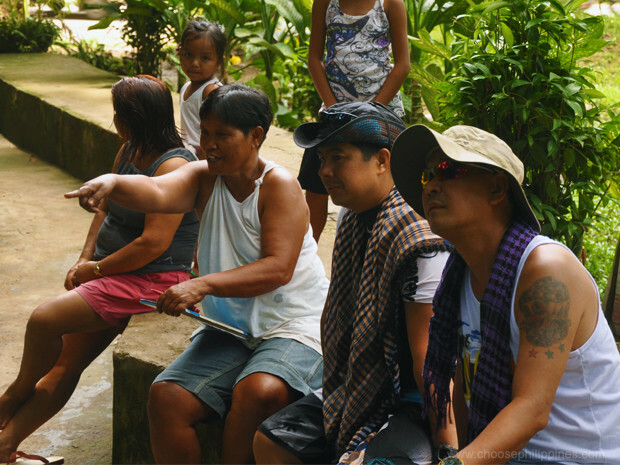 The caretaker points at the spot where the spring water comes from as Byaheros Jay and Rushty attentively listen. 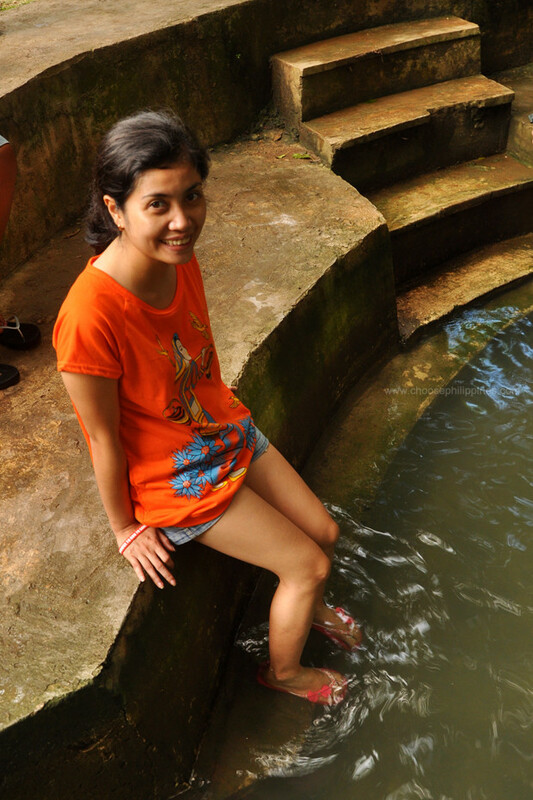 You can just dip your feet into the cold spring if you're packed with your itinerary. Of course, I tried it, too. The water's so cold, and little fishes were trying to nibble at my toes. Admission is free to this tourist spot. There's a donation box, though, which you can keep happy. The funds are used for place's maintenance. So, forget about the folk stories, even just for awhile. Just gaze at this tree's hidden beauty, and that's the entire story right there. Going to Siquijor, you need to book a flight from Manila going to Dumaguete. From Manila, you can fly to Dumaguete (estimated cost of Php4,000++, round trip, one hour and 15 minutes). Siquijor is just a short ferry ride from Dumaguete city. Delta Fast Ferries is the main ferry that operates the Dumaguete-Siquijor route (estimated cost of Php200++, one-way, 45 minutes). You can also get Oceanjet Ferry (Php350++, one-way, 45 minutes) or Weesam Express. Then from Siquijor, Siquijor port, you may take a tricycle ride (Php500) going to Lazi, Siquijor, or you may contact Siquijor Tourism Office at (035) 344-2088 for the tour (tour package rate: Php1,500). Special thanks to the Biyahe Team, especially to the Ramos and Jalandoni Family.